In the real world before you begin to make money you need to offer a product. A lot of people think this rule does not apply in the online world. Spending a few hours creating a blog and slapping together 10 posts does not mean you have a product. All you did was follow a few simple instruction on how to create a blog and then spend a couple days writing posts. Why should you make money for doing that? A blog with ten posts is not a product or a service. True, you did work and you sweat and strained, but nobody asked you to. Nobody asked you to write a blog about your summer vacation or the best place to buy an iPhone. Creating a blog and expecting to make money from it just because you created it is like expecting to get paid for moving dirt from one pile to another pile without anybody asking you to do it. The act of creating a blog is not a product. A blog becomes a product only after you create content that people want. Unless you are blogging about the alien that landed in your backyard or you are Martin Sheen, nobody is going to want to read your blog when you start. It takes time to build your blog into a product. Once people start visiting your blog because they want your content – you have a product and you can start making money with. Remember how sad you were at the end of the movie Old Yeller when Travis had to shoot his beloved dog. You wanted the dog to live forever, you kept hoping that Old Yeller recovers – please don?t shoot him Travis! Travis shoots, dog dies, you cry. That was years ago, you are grown up now, you have a better handle on your emotions. But let me warn you from personal experience that the tear jerking sadness will return if you try to make money from your blog right from the beginning. If your hope is to make money right from day one of your blog then you are setting yourself up for disappointment. At the beginning you will spend countless hours making your blog better and adding content. If you are doing it for the money, if every hour of work you say to yourself – this will make me rich, then only tears can follow. Starting your blog and hoping to make money is like hoping Travis will not shoot the dog – pull out the Kleenex. Do not put yourself through this unnecessary misery, don?t expect to make money right away. 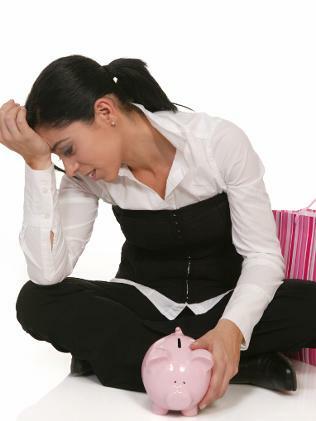 Save yourself from the agony of checking your bank account on a daily basis only to discover that nothing has changed. During your first few weeks as a blogger you have no idea what you are doing. You have a lot to learn. Not only about how to change your logo and how to add posts, but also how you are suppose to behave online. You might think that you can do anything you want – the Internet is a free place where you can do and say anything you want – right? Wrong. When you open a affiliate account or advertisement account you are entering into a contract. They let you use the service only if you agree to follow their rules. Most people create a blog and a few days later open a AdSense account. They place ads on their blog but never bother to read the Adsense Terms Of Service which outline the rules for using AdSense. Without knowing the rules you run the risk of breaking them. AdSense has strict rules about how many ads you can have on your blog, where they can be placed, what kind of content you can have and so on. If you break the rules your AdSense account can be terminated. From what I have heard, visit any webmaster forum for proof, it is very difficult to get your AdSense account reinstated after it has been terminated. There is nothing worse than making a silly mistake at the beginging and then having to suffer for it. If you are just starting out then focus on creating content for your blog. When you are ready and have plenty of time start considering all your monitazation options patiently. Before you sign up for anything make sure to read the rules. When you land on a site for the first time and it is covered with advertisements you instantly become suspicious. Does this site want to help me or are they simply trying to squeeze money from me? The internet is full of websites that exist to take instead of give. These websites are really just one big advertisement with very little value to the visitor. Internet users hate these sites, search engines hates them, but they exist. Fortunately search engines are getting better at discovering these spam sites and removing them from search results. Also most people recognize these kind of sites as soon as they land on them and hit the back button very quickly. If you place advertisements or sell product on your blog while it is new and with very little authority people can mistake your site for a spam site. At the beginning you will need to self promote your blog. You will be telling people your blog is great and this it has lots of great information, but because you are new people will have doubts. If they go to your blog and see a lot of advertisements or products their suspicions will be confirmed – you are just trying to sell something. The problem is that you have no trust. At the beginning people are visiting your blog because you ask them to. But who are you, why should people trust you? At the beginning you are one in a million and nobody trusts you. Only after you blog matures does the trust build. Only when other people talk and praise your blog can you begin to make money. Visitors who hear good things about your blog are not suspicious. A person visiting your blog because they heard how great it is has a completely different mindset, than someone who visits your blog because you begged them to. If you start with an aim to make a lot of money you will probably make none. It is amazing how many success stories start with somebody just doing what they love with no intent on making money. This is true for blogs and real companies. A popular example is Darren from Problogger who started his blog as a hobby. He did not start making money until he had a popular and trusted blog. Steve Wozniak created the first Apple because he loved computers and wanted one for himself – his focus was to make a great computer, not to make money. At the beginning your attention should be on people. All your creative energy should be aimed towards helping people and impacting people’s lives. A blog that has an impact on peoples lives is easy to monetize. A blog that does not impact people’s lives will never make any money regardless of how much energy you spend thinking about it. Do not think about it. Focus on people and the money will come later by itself. 1 Respones to "Reasons Not Making Money With Your Blogs"
Fortunately search engine optimization is very popular and provide money.